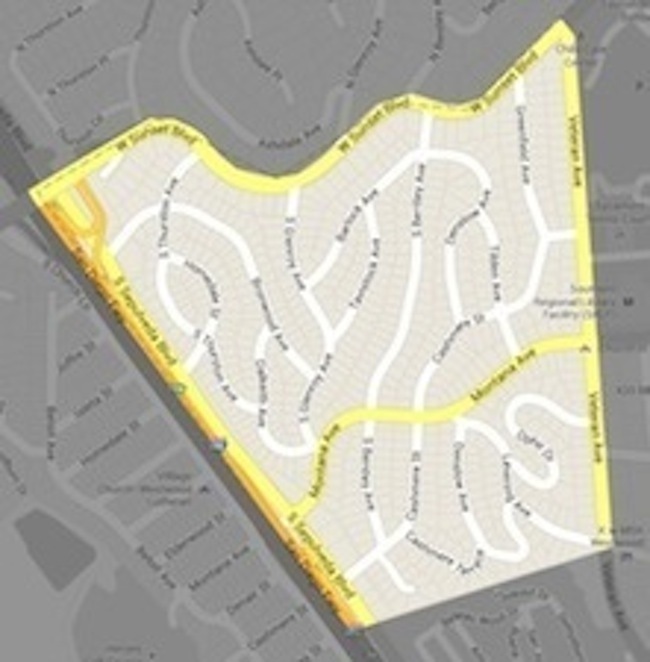 Map showing boundaries of Westwood Hills Neighborhood: Sunset Blvd. on the north; Veteran Ave. on the east; Sepulveda Blvd. on the west; Veterans Cemetery on the south.